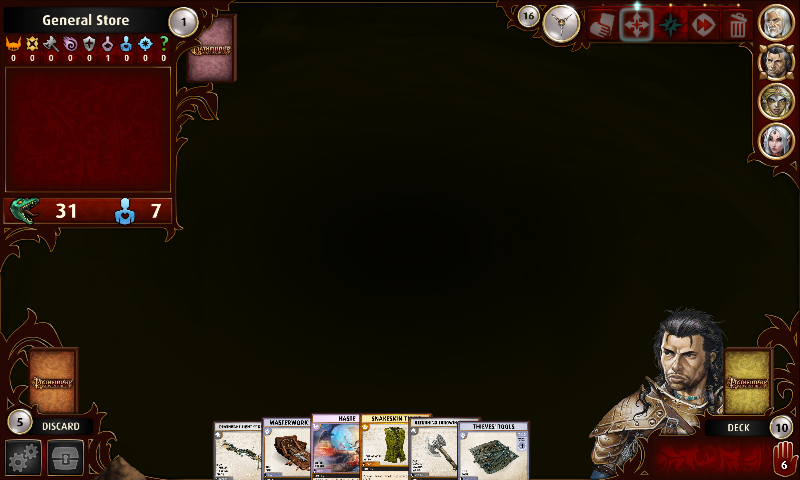 Encountered game-stopping bug while playing Here Comes the Flood - I closed General Store, rolled d6 to add items, got the animation of a card coming from location deck... and then suddenly background became black and I couldn't do anything. Also when I check other characters avatar doesn't change and it's Valeros all the time. 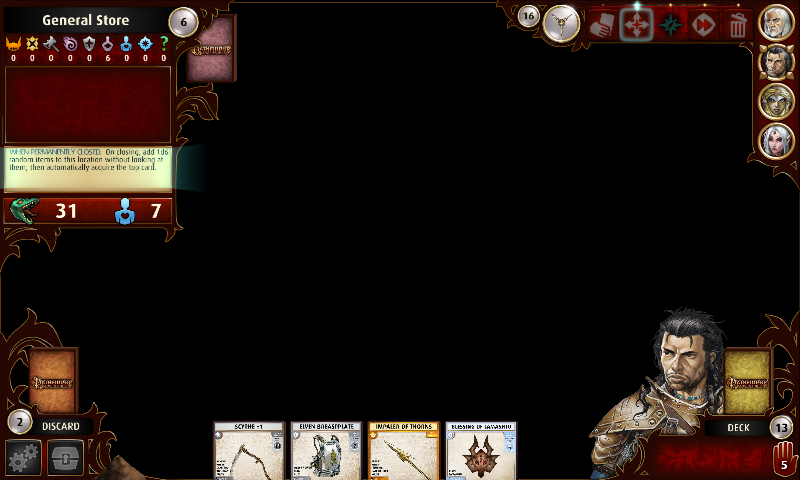 When I close the app and try to continue it lets me roll for items again, but then the bug reappears. In my game Merisiel is closing the location. Only character there. I can confirm this issue, running on an iPad Air 2, 9.2.1. I've been using a 6 person party, and I've hit this progress-stopping bug twice in a row when attempting to close the General Store. Two different characters now, Seelah first time and Lini the second. Quitting out of the app, completely closing it, resuming doesn't resolve it. Has anyone else been able to bypass General Store and finish all five of the new scenarios?